Traditional lime based plastering, although not extensively used on todays modern properties, still remains one of the best forms of plastering for most background materials, both internally and externally. 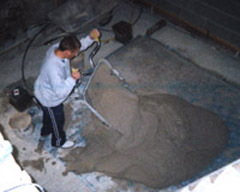 When lime is added to sand it produces a flexible, permeable mortar which greatly reduces the chances of shrinkage cracks and allows the backing material to breath. 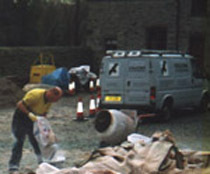 Lime plastering consists of three coat work, a render followed by a floating coat ( in coarse mortar ) and then a setting finish coat is applied ( lime and sand finish ). Hair is always added to the coarse coat to act as a reinforcement.